An old friend called recently. We were catching up on news of kids, recent travel and various body aches and pains when he announced he had something to tell to me. I found this a bit confusing because at age 60, his playing days are long over. Besides, he played basketball in college and professionally overseas. We’d always bonded over sports, discussing and pontificating regarding matters both on the fields of play and off. For a period of time, we both worked in college athletics. We consider ourselves pretty knowledgeable, having played at an elite level, studied sports as scholars and worked in the field. He also loves watching sports. In particular his, beloved Boston Celtics and New England Patriots. He hadn’t missed a televised Patriots game in years . He went on to cite several reasons, from the brutality of the game and the brain trauma it inflicts on players, to the NFL’s treatment of its cheerleaders, to the leagues handling of their players’ acts of “taking a knee” as a form of civil disobedience to highlight their concerns about police brutality. I’ve long been where he is now arriving. I do, however, periodically check in to watch a few plays to gauge whether the game is changing as it relates to player safety. As has been well-documented, the “football industrial complex”, lead by the NFL and its “Heads Up Football” campaign, has engaged in a widespread public relations campaign aimed to convince the public, and in particular, mothers, that the various changes in rules and teaching techniques have made the game suitably safe for children. It is important to note, however, that they have waged this campaign with little empirical data to back their claims. Yes, there are many well-meaning people who are attempting to make the game safer. But I am sorry. From what I see, the game is not being played in a significantly different manner. It simply doesn’t pass the eye test. It remains a gladiatorial sport – brutal and barbaric. Players continue to lead with their heads, using their helmets as spears. Meanwhile, research regarding tackle football’s devastating impact on brain health and function continues to mount. 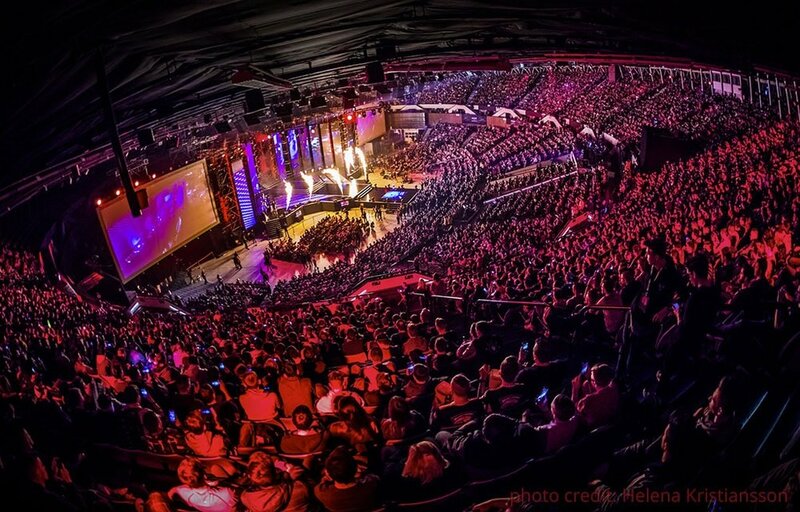 The following day, I read an article about the growing movement to bring 'esports' into the high school sports arena to meet what is a significant and growing demand. Esport leagues are being created to meet that demand. One league, the High School esports League (HSEL) has partnered with 850 schools and has more than 16,000 users. Another company (Play VS) has partnered with the National Federation of High School Associations (NFHS) to begin varsity level esports leagues in at least 18 states. And this year, Indiana’s Munster High became the country’s first high school to allow students to letter in varsity eSports. And there’s money in it. Colleges are beginning to offer esports scholarships. Once substantive scholarship money is dangled in front of participants, high school eSports are going to explode. While the demographics of those attracted to esports versus football may not overlap completely, it will have an impact around the fringes. Kids who may not be the best athletes but who participated in football to feel a part of a team or to participate in an activity with their friends or simply to please a parent, will have another, far less violent alternative. Esports, offers many of the same benefits and attractions as football. It is a team sport and in many schools will soon be a varsity sport. It is a fun activity that can be played with friends as teammates and even provides the possibility of earning a scholarship. That will be an attractive package for a growing number of kids. Further, an increasing number of parents will likely ask, “Why sacrifice my child’s brain and body on the football field for the non-existent chance at a college scholarship?” Inasmuch as football is a game of numbers, losing a handful of players here and there, will make a difference. And for colleges, recruiting kids who are strengthening their minds through eSports as opposed to scrambling them with football will be increasingly attractive. And if you think esports is simply a passing phase for geeks and freaks, live eSports events are beginning to sell out professional arenas. The most striking story told in a June 14, 2018 article in Bleacherreport titled “Forget Friday Night Lights, Esports is Becoming the Next Varsity Obsession”, was about Chris Chapman and his two sons. Chris grew up attending football games with his father. Apparently when Chris offered to take his two sons to a New York Jets game, they asked whether they could go to the CS:GO tournament instead. GS:CO stands for Counter-Strike:Global Offensive, which is the esport world championship that was held in the Barclays Center in Brooklyn. Clearly, the loss of my friend as a devoted television viewer or the fact that a father who offered to take his kids to an NFL game wanted to be taken to an esport event instead will not bring the NFL to its knees. Football remains a powerful cultural force. But small stories and actions such as these, coupled with the larger trends of declining television viewership, declining numbers of participants at the youth league level, increased public and media scrutiny, begin to add up. Make no mistake, slowly but surely, drip-by-drip and brick-by-brick, our society’s relationship with the sport of tackle football is changing. Football is a numbers game. And the fact is, those numbers are steadily decreasing.